In this tutorial you will learn how to blur an image and blend text with an image using the overlay blend mode in Fireworks. 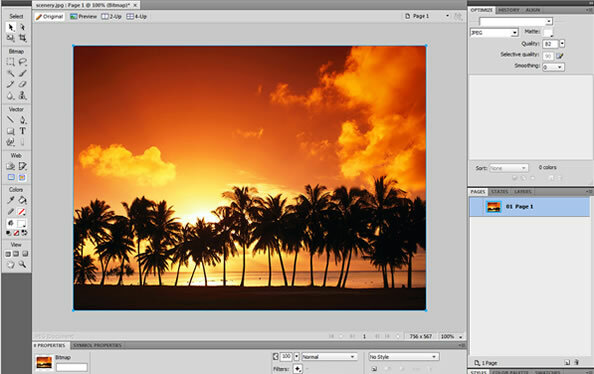 Step 1 - Open any image of your choice in Adobe Fireworks CS4. Step 3 - When you click on the "Zoom Blur" tool Option, there will appear a popup window with default values for "Amount" and "Quality". You can set the values as Amount : 30 and Quality : 20. 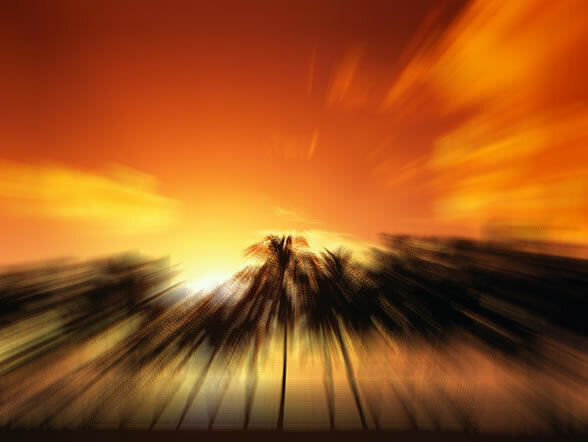 Step 4 - The scenery background image will be blurred with zoom effect and looks like the below image. 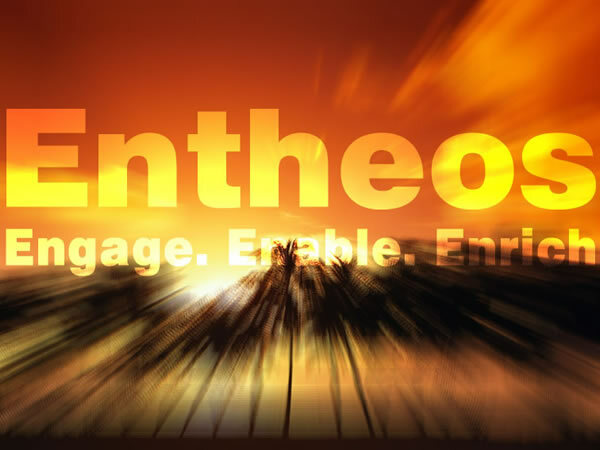 Step 5 - Using the " Text Tool " type the text "Entheos" and "Engage. Enable. Enrich" above the scenery background image. Step 6 - You will get the effect as in image with the text in white color. Now we can apply the overlay effect to the text, so that the text will blend with the background image color and reflect its color. 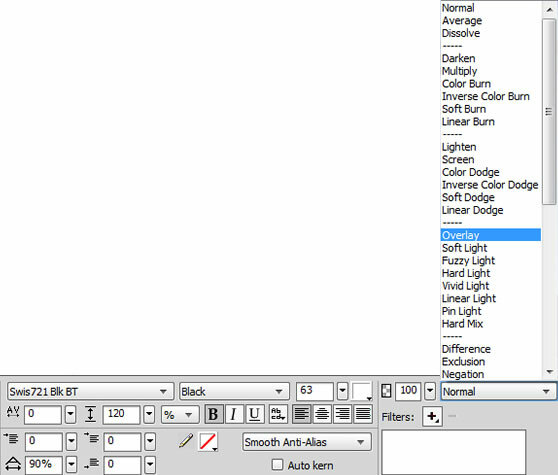 Step 7 - Select the text and you will find the Blend mode option as "Normal" on the right side of the properties window. Click over the arrow and you can find many options (i.e. By the selecting the other options you can obtain different effects. You can try this). Here you can choose "Overlay" effect. 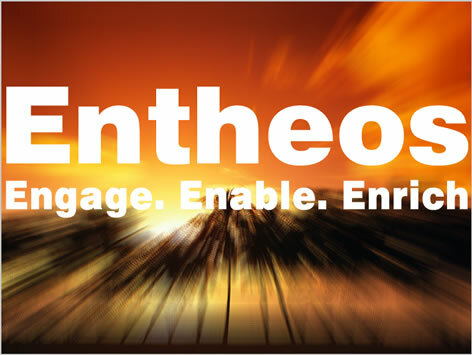 Step 8 - This is how the final image will look like with the text overlay effect. 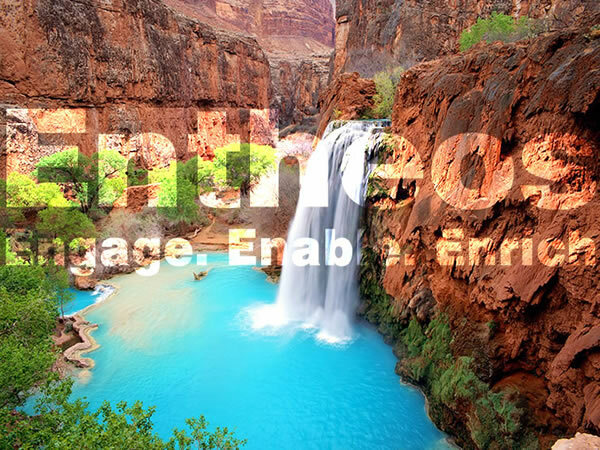 Step 9 - You can use different images to get the colorful text overlay effect. Here is the same text overlay effect with other image to give you an idea. If you select the colorful & good images on this topic you will be able to create an amazing text overlay effect.